Hey guys! 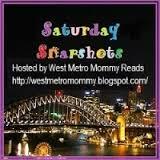 I'm back with another artistic Saturday Snapshot- hosted by Westmetromommyreads- Enjoy, and have a good weekend! I hope that you'll all check out this link here to know more about some of the horrible issues our world is facing. It's a great article that should get you thinking about small tests that prove the large impact of Global Warming and how some countries are helping while others suffer. Please do visit this link! Great Sketches! love the eye! Also guys, plz do check the site and share!